Renowned historian and collector Jeff Ellis has some amazing stuff up for auction at his site. The current gallery that includes some incredible early clubs. And Roxanna Scott notes that bids can start at $5000 for a First Augusta National Invitational program, a fantastic publication that has been reproduced and even had a poster made by the Masters out of its cover. Really extraordinary stuff here from Jim Nelford as interviewed by Gary Williams and Jaime Diaz on the 35th anniversary of his loss to Hale Irwin. Some of the great footage may have been taken out due to rights issues but Nelford is all you need to hear. Nelly Korda wins: some trophies are easier to kiss than others. We don’t want to get too far removed from the weekend’s action without pausing to consider the remarkable feat of siblings winning on the same tour. With her win, Nelly Korda joined her sister, five-time LPGA winner Jessica Korda, in the winner’s circle on Sunday, making the Kordas just the third set of sisters to win on the LPGA Tour in history. Annika Sorenstam (72 wins) and Charlotta Sorenstam (one win) were the first to accomplish the feat in 2000, and were joined by Ariya Jutanugarn (10 wins) and Moriya Jutanugarn (one win) earlier this season when Moriya won the 2018 HUGEL-JTBC LA Open. Imagine that. Two of the three pairings to have done so accomplished the feat in 2018. Wonder how big sis @Thejessicakorda was reacting to @NellyKorda's first LPGA win? Here's your answer. In searching for some great looks at Walton Heath’s design in anticipation of this week’s British Masters, I didn’t find much. But this 1981 Ryder Cup highlight film narrated by the late, great Jim Huber will remind you of a time Americans made everything while the Europeans struggled on the greens. There is also this: Dave Marr’s USA squad had NINE future Hall of Famers and is quite possibly the best one America ever assembled. Flashback: When They Used To Shape The Ball, Use The Ground And Hit Woods Into Par-5s! Fantastic flashback clip from the European Tour social getting us ready for pro golf’s return to the glorious Walton Heath, host of the 2018 British Masters hosted by Justin Rose. Note the bunkering at Lytham then--more sand faced--than the sod wall, typical links style you'll see this week. I've just finished reliving the 1999 Open at Carnoustie through Curt Sampson's book on the week, and the rebroadcast of that wacky final round is set for Wednesday, July 11 on Golf Channel. "Tournaments come, and tournaments go. That’s how it is on the PGA Tour." MorningRead.com's Gary Van Sickle provides some fun memories while reminding us of bad news we already know: nothing lasts forever on PGA Tour. As two towns integral to men's pro golf prepare to lose events or become less significant in the 2019 schedule--Akron and Houston namely--Van Sickle says this is the history of the PGA Tour, where even the once-vaunted Western Open teetered and is now barely recognizable. He also reminds us that someone in Tour headquarters signed off on Cialis as a title sponsor. History is nice, but our memories often are nearly as short as our modern gnat-sized attention spans. Remember the Western Open? It was a cornerstone of the PGA Tour lineup for decades. Butler National Golf Club, the tournament’s long-time Chicago-area home, was considered a beast by Tour players. The event was seen as being just a notch below a major championship during the 1980s. Today, the Western Open is long gone, having hit a low point – in my eyes, anyway – when Cialis, an erectile-dysfunction drug, became the title sponsor for a few embarrassing years. Imagine being a female tournament volunteer and having to wear a big Cialis logo on your shirt. 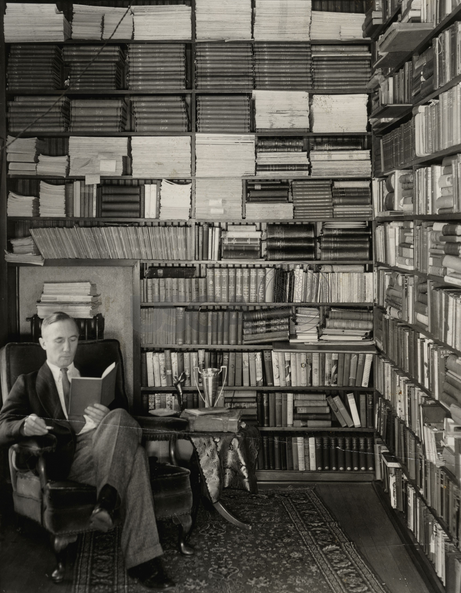 The PGA of America, longtime holders of the Probst Library featuring an incredible collection of golf books and historic materials, has donated the collection to the USGA Museum. Video: Where Have The CBS Golf Classics Gone? Golf Channel's Jaime Diaz explains what has happened to the vaunted CBS Golf Classic series, an early and important part of growing the game in the early days of often cited by golfers of a certain age. There is no more historic clubhouse in America and certainly no club housing a more important collection of historic memorabilia than NGLA's. So as we await word on the extent of damage--most reports seem to suggest firefighters kept the fire from spreading beyond a kitchen, an upstairs patio and the "birdcage" dining area added in 1916--we can only hope all of C.B. Macdonald's treasures and Jarvis Hunt's clubhouse design were not permanently damaged. A 27East story seems to be the most complete in terms of details and some images. Fire broke out at the National Golf Links clubhouse on Wednesday morning. Check out #27east and #shpress for more info. Mike Barnes of the Hollywood Reporter looks at Wilshire Country Club's rich history as the club prepares to host this week's inaugural HUGEL-JTBC L.A. Open this week. We also discussed Wilshire today on Morning Drive. A vintage Tiger Woods shot Saturday at Bay Hill. He trails Henrik Stenson by five heading into Sunday's 2018 Arnold Palmer Invitational finale, Dan Kilbridge reports. A fantastic leaderboard should make for a great last day. The tractor belonging to Arnold Palmer's dad was brought down from Latrobe and parked at Bay Hill this week to commemorate the influence of his father. Saturday was Bobby Jones' birthday. The USGA posted some images of the amateur golfing great. The Masters has begun their social media efforts earlier than normal and feature this look at the club's co-founders. 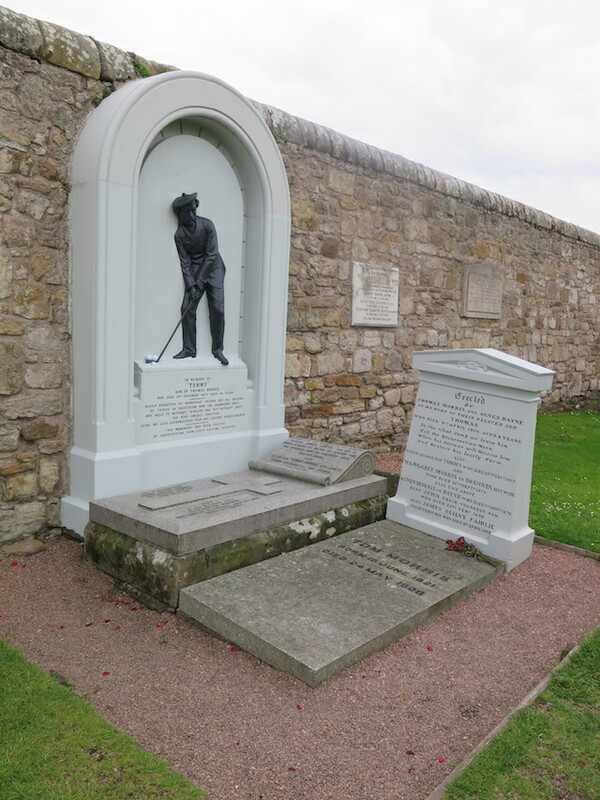 Kudos to author Roger McStravick for continuing his fine work on behalf of all things St. Andrews by crowdfunding an effort to erect a headstone for three-time Open Champion Jamie Anderson and father Auld Daw Anderson, former Old Course greenkeeper and later, ginger beer seller. 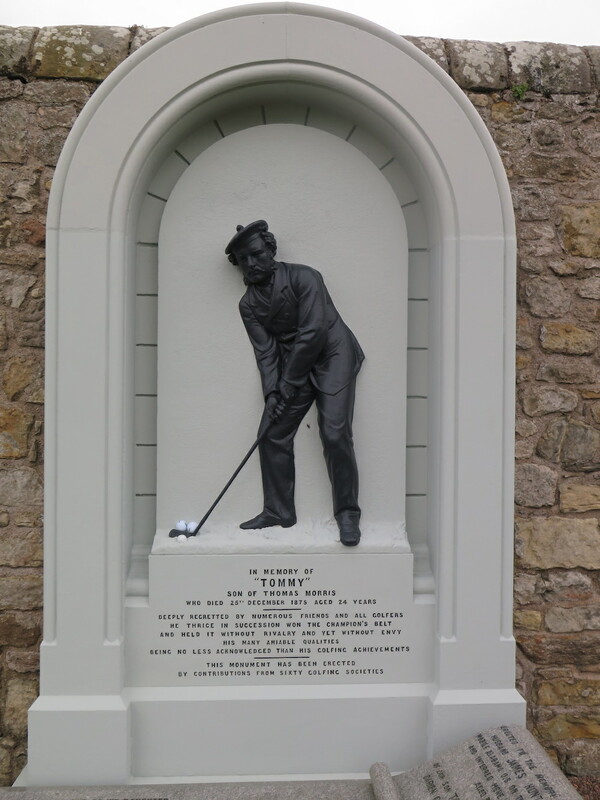 Auld Daw is also credited with helping shape the Old Course design during his stint. 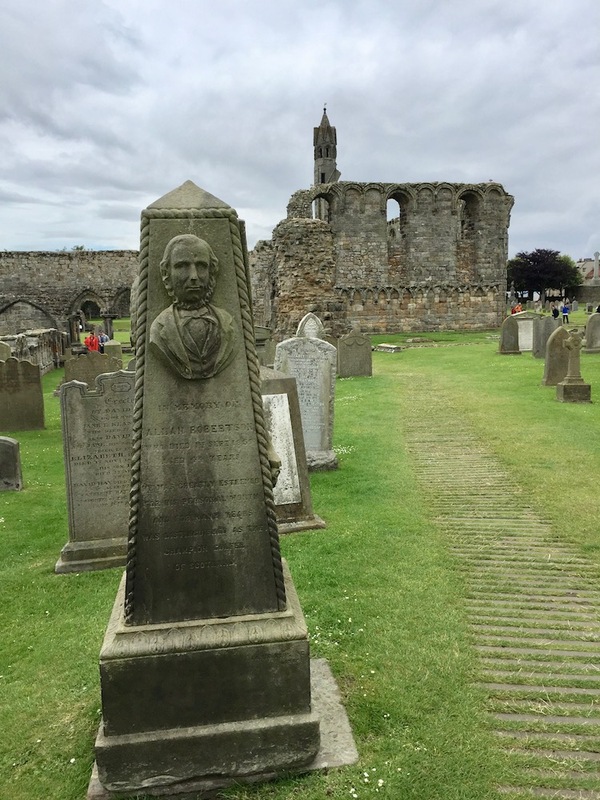 Jamie died poor and while buried in the St. Andrews alongside his father, is deserving of proper recognition. I've made a small contribution and hope you will too! A few of my recent photos from the cemetery, including Old and Young Tom Morris's restored headstone/monument and Allan Robertson's gravesite. Glen Abbey Closer To Salavation Despite The View Of...Golfers?! The 1976 Open Championship was won by Johnny Miller, and as he recounted for Golfweek, it was a memorable weekend battle with Seve Ballesteros. This short piece on the '76 Open is mostly about Seve but includes some great footage of Johnny and Seve's epic recovery on 18. Their battle is at the heart of next week's "Summer of '76" documentary airing on Golf Channel.